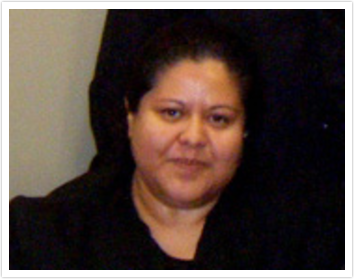 Our staff consist of a diverse group of highly trained individuals, including Spanish speaking staff members. Our staff is here to make you feel comfortable, and to educate you, and help you with any concerns you might have about your dental care. We are enthusiastic and well informed about our office administration, financial questions, and insurance concerns. Our Chairside Assistants are caring, skilled and professional. Our Hygienist is highly trained and has a gentle touch, while being extremely thorough, focusing on restoring and maintaining your best oral health. Our patients don't get" lectured or scolded", but rather educated on their oral health. We pride ourselves on working as a team, and we love to come to work! I grew up in Lawton, Oklahoma and moved to Corpus Christi in high school. I graduated from Texas ATM in 1978, and then graduated from UT Dental Branch in 1983. I have been practicing Dentistry for the last 25 years. I am a member of the Houston District Dental Society, the Texas Dental Association, and the American Dental Association. I love being able to help people and my first concern when you come to my office is to make you feel comfortable and for your Dental visit to be a pleasant one and love to show you Dentistry really can be painless! We have recently moved from Pinemont to our new office at 290 and 1960. I am continuously attending Seminars, meetings, and special training in all areas of Dentistry to keep up with the fast-paced changes in modern dentistry and cosmetic techniques and materials, enabling me to offer the latest and most up-to-date treatment that Dentistry has to offer. I have trained at the LVI Institute in Las Vegas with my team, with an emphasis on Cosmetic Dentistry, and have extensive Cerec Technology training. I have been married to Carol for over 30 years and have 2 children, Nick and Ally. My family is the center of my life. Outside of Dentistry, I have many hobbies including American Karate with a 3rd Degree Black Belt, paintball, tennis, golf, racquetball, and I love to take road trips on my motorcycle. I have been a Dental Hygienist for 15 years. I graduated from the UT Dental Branch in 1996. Patients ask me how I came to work for Dr. Pinner and I tell them my "interview" story.I interviewed with Dr. Pinner in December 1998 and told Dr. Pinner that I could start right away but in July I would need 3 months off to have a baby because I was pregnant. I knew this was going to be my second home when he said, "You can start tomorrow"! I have 2 children, Stephanie, and Joshua. I have been married to my loving husband Lauro for over 20 years. It still amazes me how smart and talented he is. He is very committed to our family and keeps my life organized.My hobbies include reading a good book, scrapbooking, and cross-stitching. I have been with Dr. Pinner for over 15 years now, and I still enjoy coming to work everyday and seeing our long term patients and hearing about their children growing up and getting married. 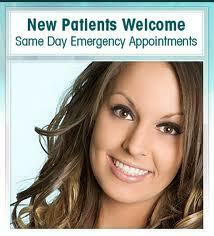 I also enjoy meeting new patients on a daily basis and I look forward to meeting you! I am a native Houstonian and have been working with Dr. Pinner for almost 20 years. My husband and I just celebrated our 36th Anniversary in April. We have 2 children. Elaine is a graduate of Baylor with a degree in Psychology and is currently a High School Counselor. She is married with 2 children. My son has his own Web Design Company and is married with 2 daughters.We are so blessed to have 4 grandchildren whom we totally adore. 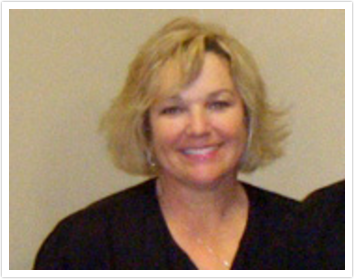 I am a Registered Dental Assistant in Texas and am certified in Radiology and OSHA Infection Control. I love sports, anything outside, tennis, fishing and hiking. My husband and I love to take road trips with no particular destination in mind, just get away and enjoy being together. This office means so much to me. I love all the patients that I have gotten to know so well over the years. I love all my co-workers, and most of all, I love working side by side with Dr. Pinner, a Doctor that I admire, respect, and trust. I have been in Dentistry for over 30 years. I was a Dental Assistant for 15 years and have been in the Front Office now for the last 15 years. When Dr. Pinner started his office on Pinemont over 21 years ago, I started working with him. We have enjoyed working together all these years. I enjoy watching this practice grow, and meeting all of our patients, who have become our friends. Dr. Pinner and I have been married for over 30 years and have 2 children, Nick and Ally. Our family is the center of our life. I enjoy traveling, going to concerts, playing tennis, gardening, scrapbooking, home projects, reading a good book and riding on the motorcycle. I am new to the office but also an old friend of Dr. Pinner and Carol. Fran, and Olga. I have known Dr. Pinner and Carol for 19 years. We lived on the same cul-de-sac, and our kids have grown up together. I am excited to be a part of the outstanding team of Dr. Pinner, Carol, Fran, and Olga. My husband and I celebrated our 30th wedding anniversary in May. We have 2 children, Nicole and Matt. Nicole is married and is a graduate from Texas A&M in Engineering. Matt just graduated from Texas State. We also have 2 pets, a German Shepard named Ginger and a black cat named Mercedes. I have a Bachelor of Fine Arts degree from LSU and a Bachelor of Science in Business Administration/Marketing degree from Nicholls State University. Our family loves to play outside! We love fishing, boating, and riding dirt bikes together.